Tomasa studied up to 5th grade of basic education. She is married and her partner works as a soldier, where he earns a monthly salary, and they have two children. Tomasa has earned a living through farming work since she was very small. 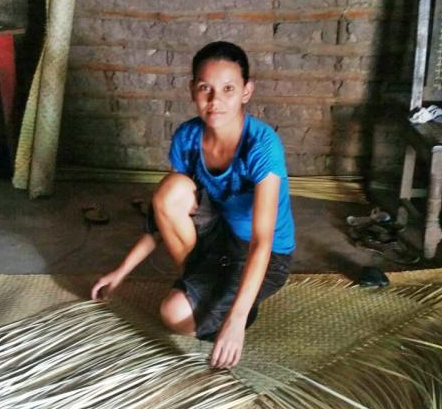 As well as this work, she makes petates (sleeping mats), so that with both jobs she can provide for the household expenses. She needs the loan to buy tule reeds, to make petates and sell them. Her greatest dream is to continue supporting her children in their studies, so they can have greater opportunities in the future. Congratulations to Tomasa in El Salvador..!